Bhubaneswar: Odisha Government today signs MoU with Tata Trusts’ to establish Cancer Treatment & Research hospital in Bhubaneswar. 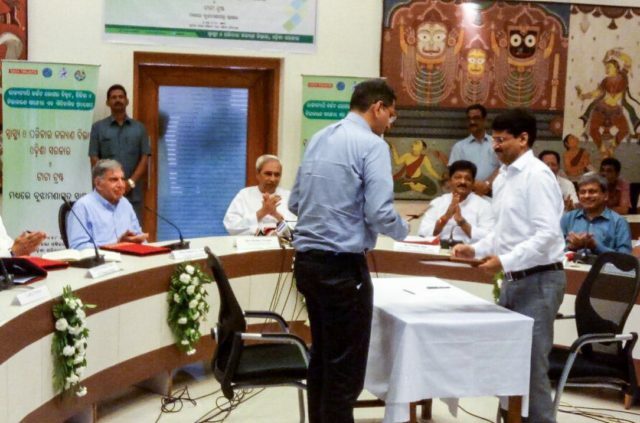 An MoU was signed between Odisha Government and Tata Trusts’ to improve cancer care in Odisha. More than 90% of cancer patients will be benefitted with this programme in our state. Cancer Treatment & Research hospital will be established at Bhubaneswar with inclusion of PG oncology course. MoU signed between TATA Trusts and Odisha Govt to upgrade The Acharya Harihar Regional Cancer Centre (AHRCC) in Cuttack to comprehensive cancer care hospital. CM Naveen Patnaik and Tata Trusts’ head Ratan Tata were presented during the MoU. As part of the MoU, Tata Trusts will set up and manage the cancer treatment facility in Bhubaneswar and it will be benchmarked to the Tata Memorial Hospital, Mumbai. 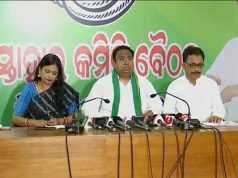 Odisha government will facilitate and contribute in setting up the centre by providing land to the extent of 25 acres free of cost, said a statement. This will create a state-wide cancer care network with an objective to take treatment closest to patients. The state government has decided to set programme priorities through an advisory committee headed by the Chief Secretary. It will recommend a Special Programme Management Entity, with members from the state government and Tata Trusts, for executing the proposed network of cancer care facilities. A sum of Rs 800 crore has been earmarked for executing and grounding the cancer care projects under the programme over a period of next five years. Of this, Odisha’s share will be Rs 500 crore, while Tata Trusts have committed Rs 300 crore. The state government will also fund the operational expenses of all facilities established under the programme and will support in full the free treatment of poor and needy patients.